There is a ton of discussion, stories, articles, videos, conferences and blogs about the benefits and value proposition of cloud computing. Not to mention, discussion or debates about what is or what is not a cloud or cloud product, service or architecture including some perspectives and polls from me. Now SANta does not really care about these and other similar debates I have learned. However he is concerned with who has been naughty and nice as well watching out for impersonators or members of his crew who misbehave. 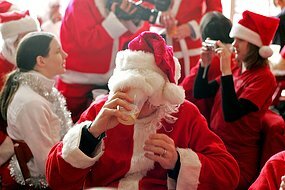 Many in IT think that SANta bases his operations out of the North Pole as it is convenient for him to cool all of his servers, storage, networks and telecom equipment (which it is). However its also centrally located (See chart) for the northern hemisphere (folks down under may get serviced via SANtas secret Antarctica base of operations). Just like ANC (Anchorage International Airport) is a popular cargo transient, transload and refueling base for cargo carriers, SANta also leverages the north and South Pole regions to his advantage. 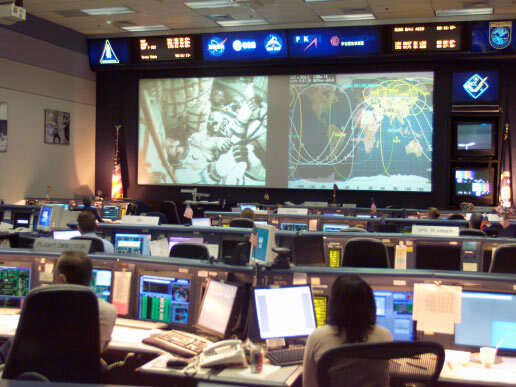 The heart or brains of the SANta operation is his global system operations center (SOC) or network operation center (NOC) that rivals those seen at NASA among others with multiple data feeds. The SOC is a 24x365 operations function that covers all aspects from transportation, logistics, distribution, assembly or packaging, financials back office, CRM, IT and communications among other functions. SOCs and NOCs that enable SANta to get those SOCKs above fireplace filled! Feeding SANtas vast organizations are online highly available robust databases for transactions purposes, reference unstructured data material including videos, websites and more. Some of which look hauntingly familiar given those that are part of SANtas eWorld Helpers initiative including: Sears, Amazon, NetFlix, Target, Albertsons, Staples, EMC, Wall mart, Overstock, RadioShack, Landsend, Dell, HP, eBay, Lowes, Publix, emusic, Riteaid and Supervalu among others (Im just sayin...).